Mother’s Day is this weekend so I wanted to try out a shenanigan that could be something fun to make for your mom. 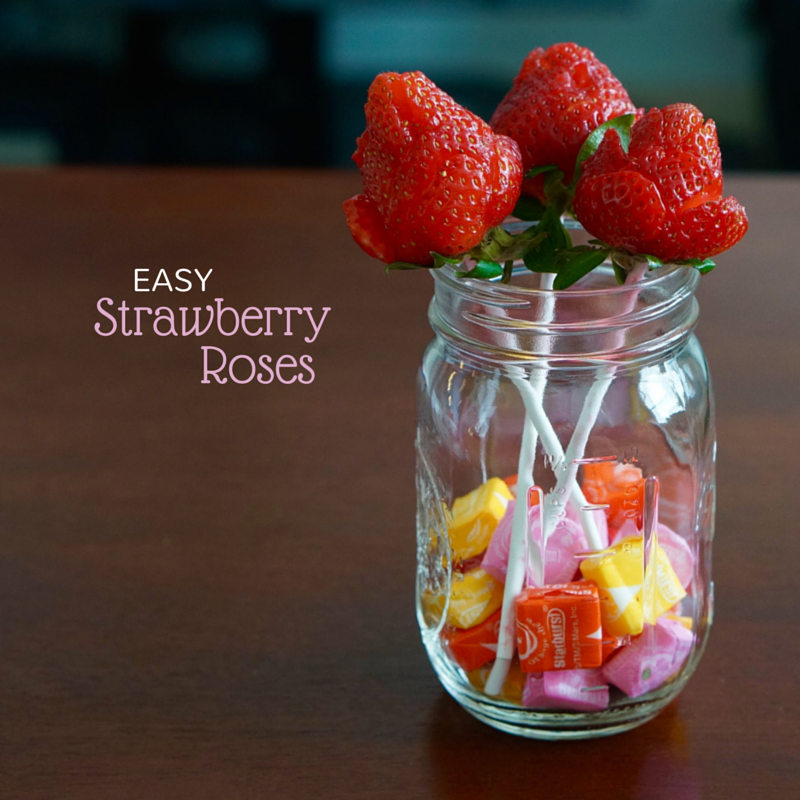 I came across a pin that says you can easily turn a strawberry into a rose with a couple simple steps. 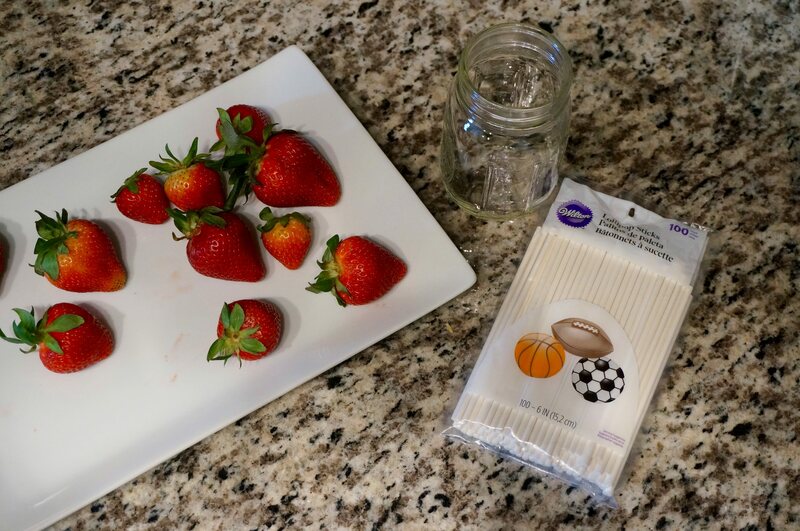 They looked pretty cute and kinda remind me of a mini DIY Edible Arrangement ,(which is a popular mother’s day gift) so I decided to try it out. Use your knife to cut the “petals” of your rose. Start at the bottom slowly work to the top of your “rose.” Be careful not to cut all the way through your strawberry or you will loose your petals. Also with each new row of petals, try to place the next row in between the previous row (unfortunately I had to sacrifice a couple strawberries until I got the hang of it). Ok, so I did the best job I could with the directions in the pin. They look a little bit like roses (especially if your strawberries have a big stem) and they were very easy to make, but don’t expect them to look perfectly like a rose from every angle. They only look like roses from certain angles, and from other angles they just look like sliced strawberries on sticks. 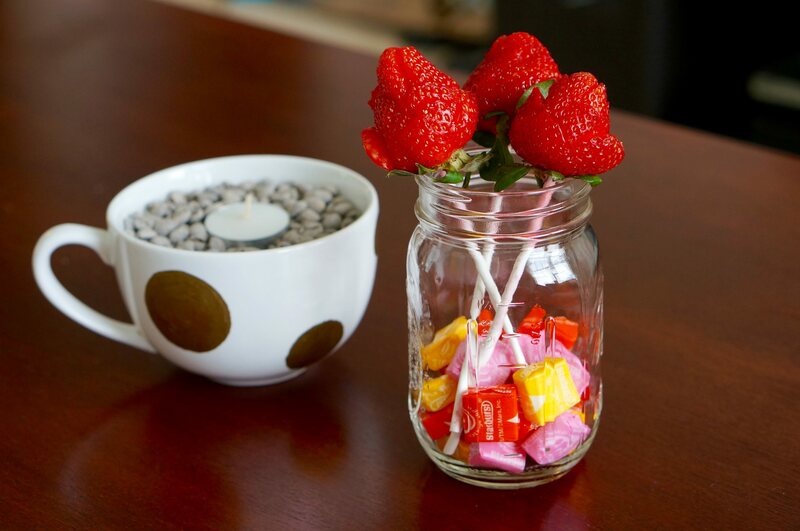 I do think they would make an adorable addition to any Mother’s Day breakfast, especially if you put them in a cute mason jar or mug, but I would probably not just serve them by themselves (since they don’t look like roses from every angle). 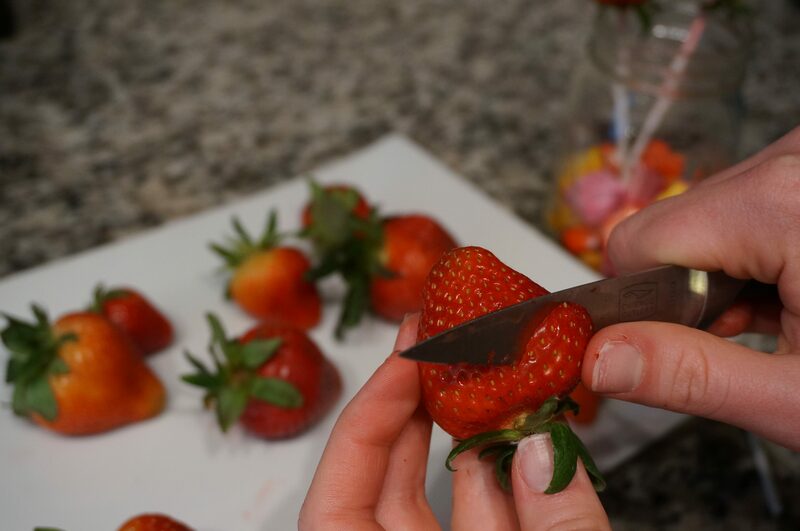 So I revoke shenanigans for the most part because they are easy to make and give the appearance of a rose, but I do not completely revoke shenanigans because from some angles they just look like sliced strawberries on a stick.